Viviendas Margarita II in Colònia De Sant Jordi is an apartment building. 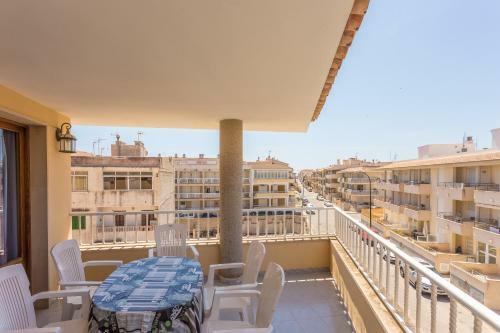 These simple two and three-bedroom apartments are located 50 metres from Es Port Beach and Colonia Sant Jordi Port. 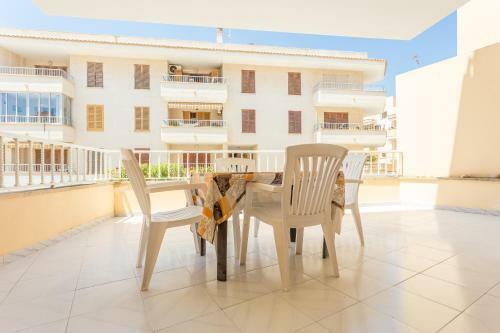 They offer comfortable accommodation with a large, furnished terrace. 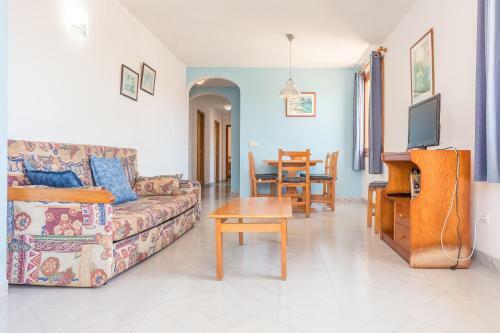 Each Viviendas Margarita II apartment has functional decor and a lounge with sofa bed and TV. 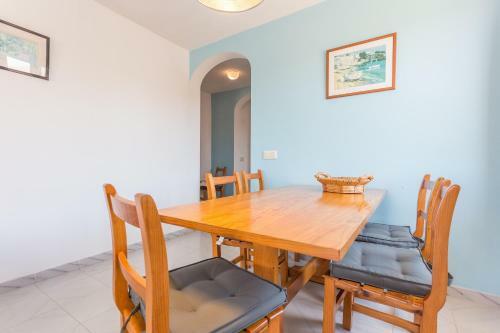 There is a dining area, a kitchen with hob, coffee maker and fridge and 2 bathrooms. Towels and linens are changed twice-weekly. 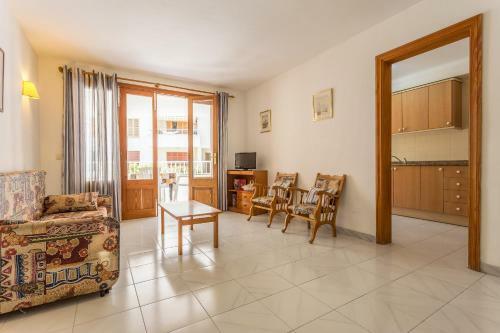 The nearest supermarket is 200 meters away and numerous bars, restaurants and shops are wit...hin 5 minutes’ walk. The pretty town of Ses Salines is 5 km away. 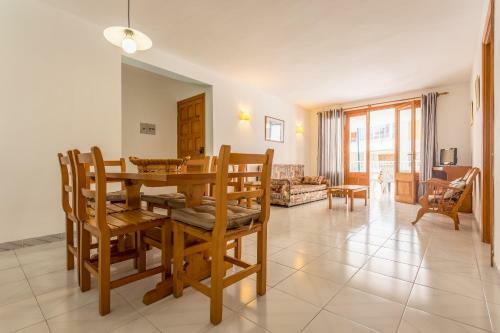 The Margarita II apartments are 30 minutes’ walk from the stunning Es Trenc Beach. You can also catch a boat from the Port to the pretty Cabrera Islands. 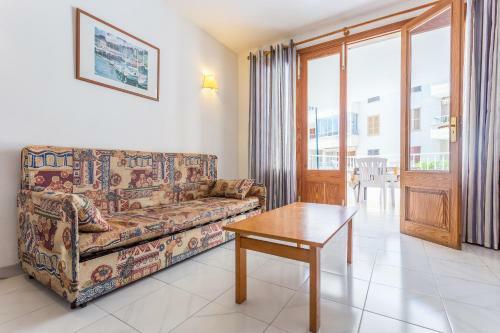 Public parking is available nearby for a fee and the apartments are 50 minutes’ drive from Palma. Palma Airport is 45 km away. 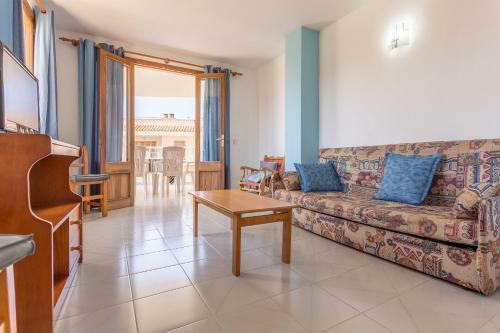 These simple two and three-bedroom apartments are located 50 metres from Es Port Beach and Colonia Sant Jordi Port. 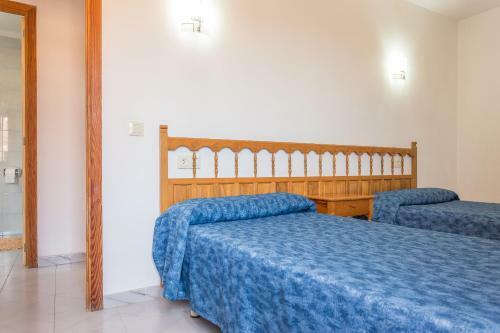 They offer comfortable accommodati...on with a large, furnished terrace. 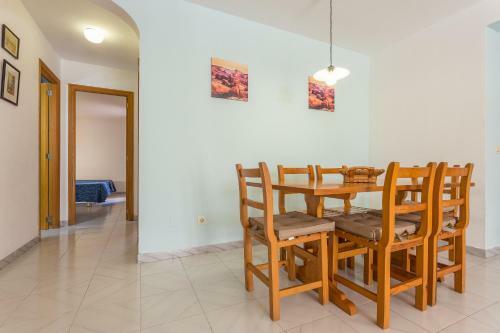 Each Viviendas Margarita II apartment has functional decor and a lounge with sofa bed and TV. 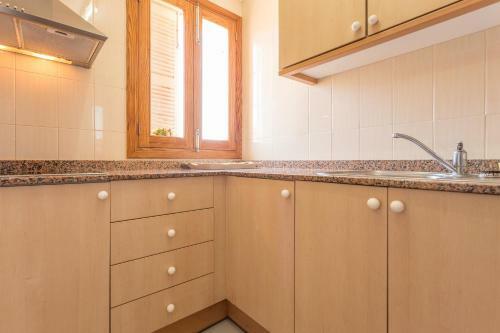 There is a dining area, a kitchen with hob, coffee maker and fridge and 2 bathrooms. 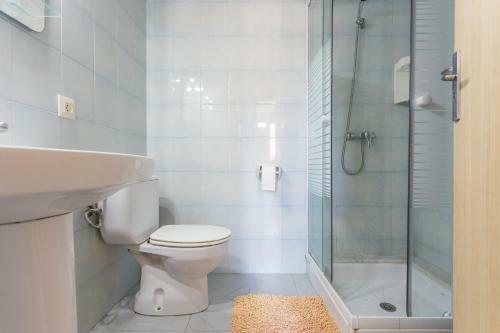 Towels and linens are changed twice-weekly. 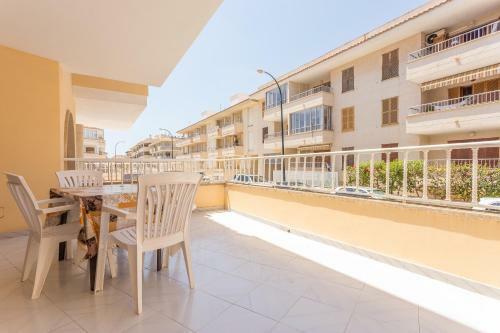 The nearest supermarket is 200 meters away and numerous bars, restaurants and shops are within 5 minutes’ walk. The pretty town of Ses Salines is 5 km away. 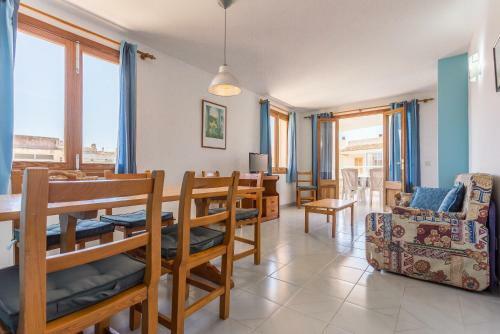 The Margarita II apartments are 30 minutes’ walk from the stunning Es Trenc Beach. You can also catch a boat from the Port to the pretty Cabrera Islands. 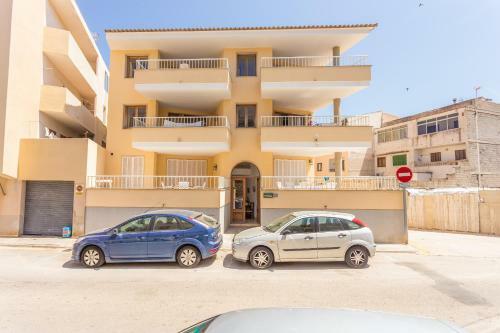 Public parking is available nearby for a fee and the apartments are 50 minutes’ drive from Palma. Palma Airport is 45 km away. 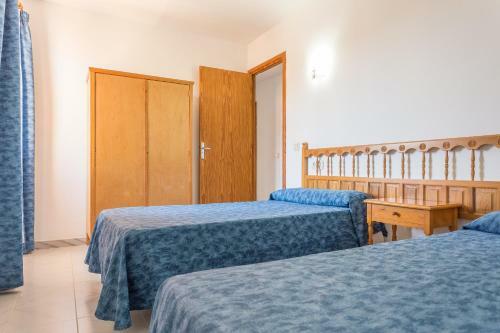 When would you like to stay at Viviendas Margarita II? Please inform Viviendas Margarita II in advance of your expected arrival time. You can use the Special Requests box when booking, or contact the property directly with the contact details provided in your confirmation.